Originally published on July 6, 2012. With its rugged coastline, sandy beaches and rolling hills, West Cork is the ideal destination for any holidaymaker in search of adventure. From a light stroll to a challenging hike, the many walking routes criss-crossing the countryside offer a gateway to West Cork’s spectacular, breathtaking and ever changing scenery. There is a bounty of sites of national significance from every era and fascinating visitor centres to help you better grasp the paths and events that have shaped modern Ireland. With evocative prehistoric archaeological sites, like Dunbeg stone circle, scattered throughout the region, you can trace the lives of our earliest ancestors from the Bronze Age through to the arrival of Christianity and era of the Gaelic clans. In the early 20th century, West Cork was to play a leading role in the establishment of the new Irish state – the ambush at Kilmichael being the opening shots of the War of Independence and the ambush at Beal na Blath and killing of Michael Collins speeding the civil war to a close almost 2 years later. But there’s a lot more to the heritage of West Cork than conflict, with important centres for our maritime, industrial and commercial heritage in many towns and villages including Clonakilty, Goleen, Allihies and Castletownbere. 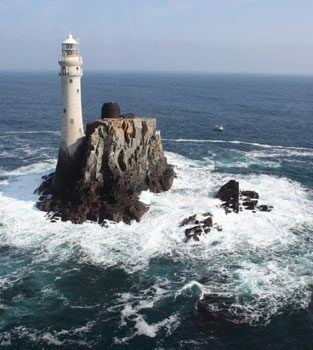 The Fastnet Rock Lighthouse, often referred to as the last tear drop, was the final sight of Ireland for many of the people who emigrated. West Cork is almost a separate region in its own right. It begins at Kinsale, the gourmet capital of Ireland, and runs in a westerly direction to Dursey Island at the tip of the Beara Peninsula. Both landscape and coastline become more complex and rugged as you proceed westwards. It is festooned with little ports, bays, inlets and harbours and boats of every type and design are there, fishing, sailing and cruising. Cork is a city steeped in history with a rich cultural past that seeps to the current day – awarded European Capital of Culture in 2005, listed by Yahoo! as one of the Top Ten European Cities to Visit in 2011 and placed by Lonely Planet on their Top Ten Best In Travel in 2010. With over 26 festivals annually in the city alone, it is a stage for various internationally famed festivals such as the Guinness Cork Jazz Festival and Cork International Choral Festival. It’s an up and coming destination and is the perfect setting for business or leisure alike, offering top class conference venues, world class golf courses such as The Old Head in Kinsale and a multitude of activities on its doorstep to help unwind and get energised. Nestled in the second largest natural harbour in the world and home to the world’s oldest yacht club, Cork was a departure port for emigration and ships such as the Titanic, and today plays host to the world’s largest cruise liners. With 1100kms of coastline, the area is festooned with little ports, bays, inlets, islands, harbours and boats for fishing, sailing and cruising. Award winning cuisine abounds, with Kinsale recognised as the gourmet capital of Ireland and you can follow the West & East Cork Food Trails until your belly is content! Adventure is on your doorstep too with the largest mountain bike trails in Ireland located in North Cork and West Cork claiming to have the best surfing and whale watching in the country! Outdoor fun is guaranteed for all the family in East Cork with its award winning beaches and activities. Marvel at castles, parks and gardens along the Blackwater Valley, relax with some angling or simply indulge at one of Cork’s finest spa resorts. West Cork is situated in the South West of the island of Ireland. A truly beautiful part of the the country, with lovely, friendly, helpful people. It is a hive of activity all year round. 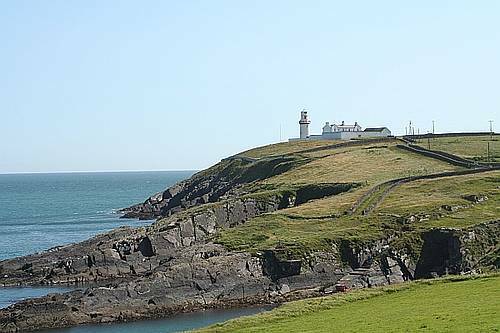 From Kinsale to Mizen Head, and around the Beara Peninsula boasts some of the most beautiful and spectacular coastal scenery that can be found anywhere in the country. For boating enthusiasts this is heaven on earth. The Carbery Isles has this location perfect for sailing and boating and great fishing, with yacht charters and deep sea angling available coupled with ferry services to Sherkin Island and Cape Clear. West Cork has some beautiful beaches from Inchadonney to Barleycove. There really is something for everyone. Accommodation is a very important service which West Cork can provide with Hotels, Guest Houses, and Holiday Cottage accommodation of the highest quality. West Cork also boasts some of the highest quality restaurants, not only in Ireland but Europe as well. Ballydehob and Schull in particular are well known for their pubs which offer good food, good fun, and good music. The countryside in West Cork offers an unspoilt natural beauty that provides the ideal place for inland fishing, hillwalking and all outdoor activities. With all this in the offering, this is the ideal place for you to buy that long awaited, well deserved holiday home, or that somewhere special to call home. Crafted by 4Property. ©2019. All rights reserved. Agent Login.